It’s over. The championship window for one of the NFL’s bedrock franchises has slammed shut. After three straight NFC Championship game appearances, the 49ers finished 2014 with an 8-8 record and inexplicably fired a coach with a career .688 winning percentage. While it was going to be an uphill battle without Harbaugh, in the span of 24 hours the 49ers championship window came to an abrupt end. The once vaunted defense lost its leader in Patrick Willis who after eight seasons and at the ago of 30 decided to suddenly retire. Veteran defensive end Justin Smith soon followed suit in announcing his own retirement while key players were lost in free agency. Guard Mike Iupati will head to division rival Arizona, feature back Frank Gore has moved on, and Michael Crabtree have all played their last snap for the 49ers. While the team did sign defensive end Darnell Dockett, they still have fallen behind the rest of the division. The Seahawks have landed arguably one of the best tight ends in the game in Jimmy Graham while St. Louis may have found their franchise quarterback in Nick Foles. While the toughest division in the NFL continues to get tougher, the 49ers have regressed not only on the field, but also on the sideline. 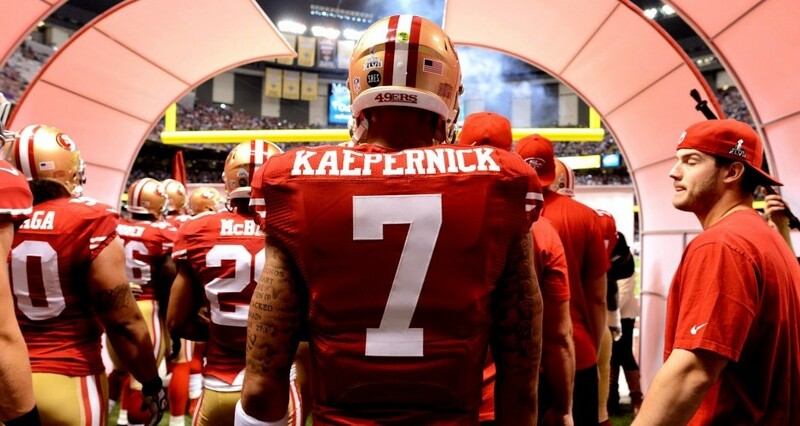 The biggest question for the 49ers will be Colin Kaepernick. Two years ago Kaepernick had the fourth best QBR in the NFL. In 2014 his QBR fell to seventeenth in the entire league. There is no question that he has regressed and there are rumors that organization maybe shopping their starting quarterback. True, the 49ers could rebound in the draft, but with rumors swirling that quarterback Colin Kaepernick is now on the block, the question could be not if but when San Francisco will blow up the current roster and start to rebuild.